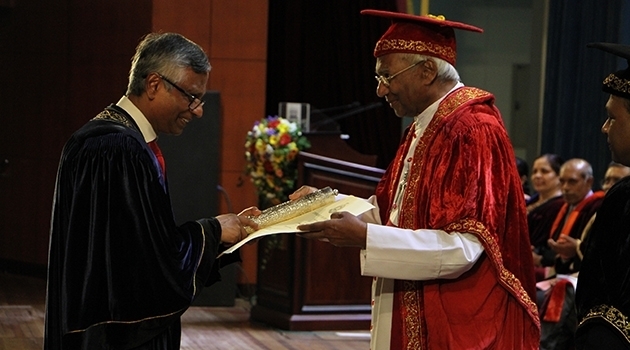 Vernon Cooray, Professor at the Department of Engineering Sciences, has been awarded an Honorary Doctorate by the University of Colombo in Sri Lanka. Vernon Cooray has been involved in building up a lightning research programme in Sri Lanka—a research programme that enjoys international renown, with well-equipped facilities. ‘At present, we utilize these facilities to study tropical lightning as a part of a project funded by the Swedish Research Council’, Vernon Cooray says. The lightning research in Sri Lanka is part of the Uppsala University International Science Program (ISP) which is meant to offer long-term support to the establishment of research communities in developing nations in such subjects as mathematics, physics and chemistry.